It's a Halloween miracle because today BONUS DISC is releasing a "BONUS" feature! The full-length, synced commentary to CAMP KILLER! Matt and Bob sit down with friend of the show writer/director Shawn Jones and give a different type of live commentary, one that features a friend who barely worked on the movie, and another friend who didn't work on it at all! What is this movie you ask? Well CAMP KILLER, a Baltimore made low-budget genre love letter, can best be described as Friday the 13th VI meets My Dinner With Andre. It's currently streaming on AMAZON PRIME! Don't worry, The guys tell you when to press play! Enjoy this Halloween treat, the regularly scheduled episode is coming tomorrow! CAMP KILLER ON AMAZON PRIME STREAMING! 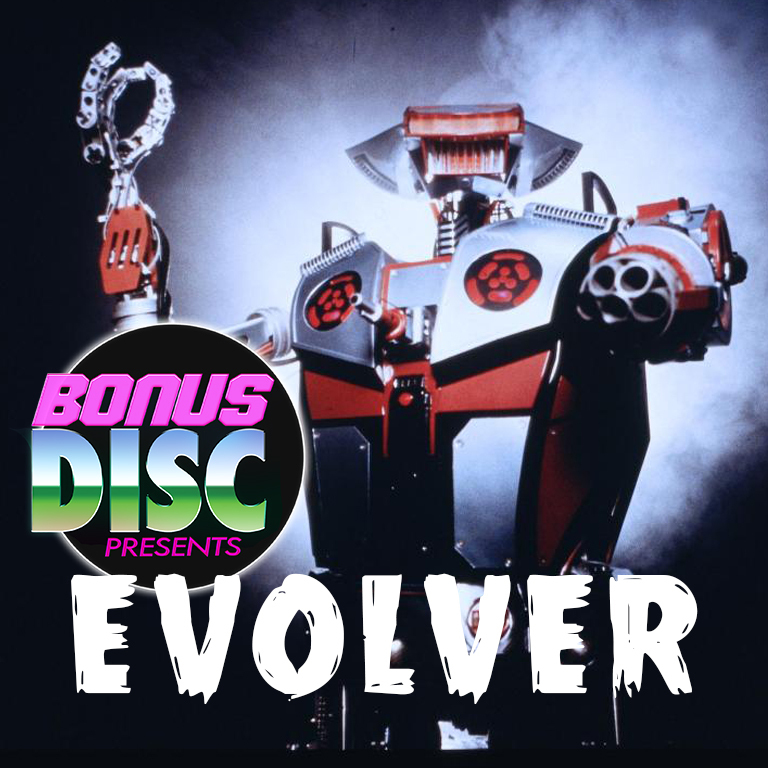 The time has finally come for Matt and Bob, along with former guests of the show Rob Zeman and Sean Hillary, to watch, breakdown and analyze Ethan Embry's 1995 triumphant commentary on the dangers of artificial intelligence: EVOLVER! The director of Hillary Duff's A CINDERELLA STORY and a cast that includes the legendary Paul Dooley, Q from STAR TREK, and Ferris BUELLER's mom/the mom from SON-IN-LAW come together to take down the underground world of mid-90s VR gaming tournaments! Featuring a homicidal robot with the voice of WILLIAM H. MACY! THE MOVIE FOR FREE ON YOUTUBE! YOU CAN ALSO BUY THE MOVIE ON AMAZON OR DVD! Rob and Sean's firs BONUS DISC: 50 SHADES OF GREY!